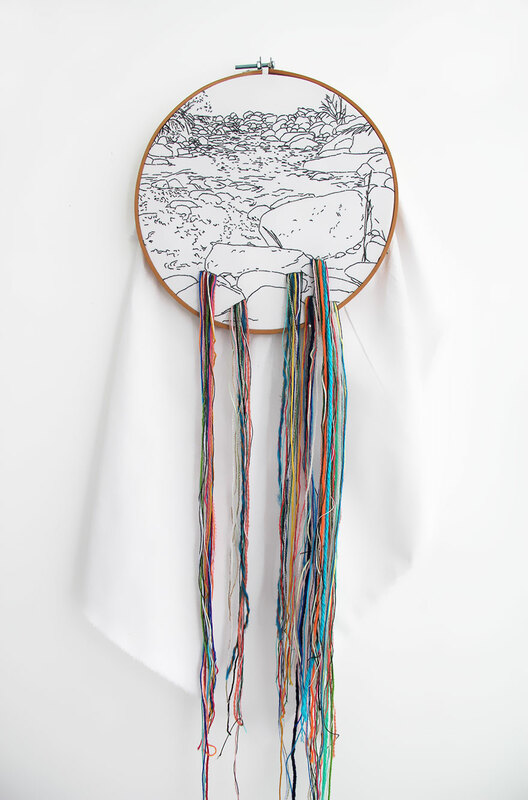 The craft of embroidery is known for having remained largely unchanged since its ancient origins, but even this ancient handicraft has room for innovation. 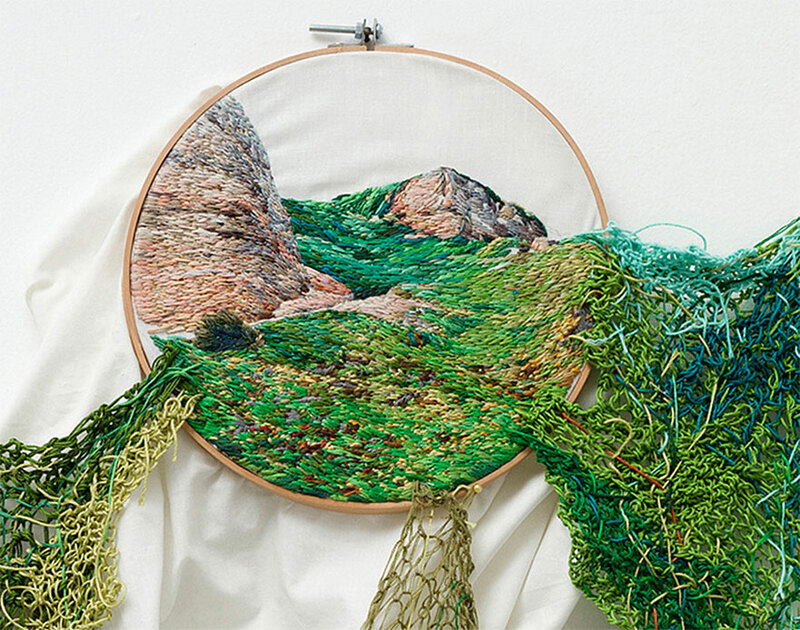 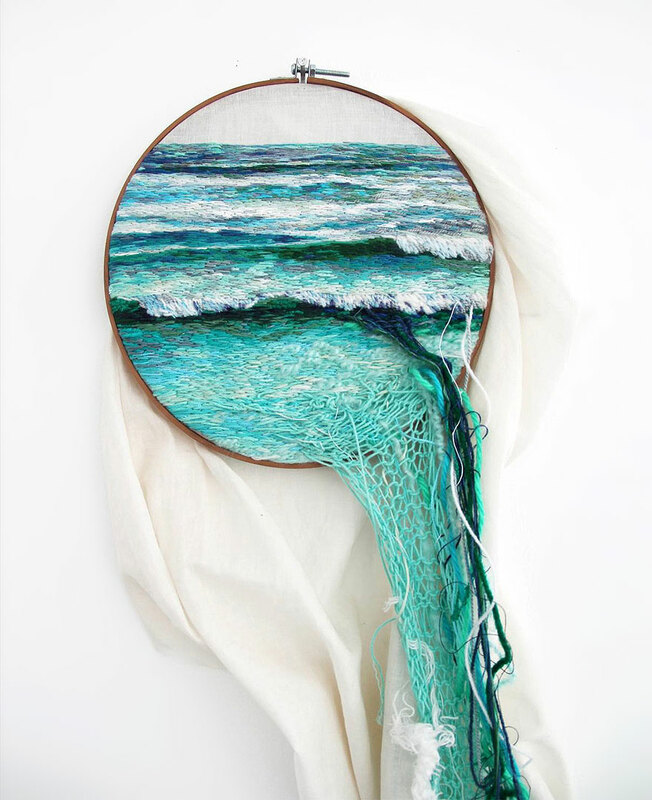 Peruvian embroiderer and artist Ana Teresa Barboza creates embroidered natural landscapes that spill out of of their wooden frames, using threads of various size, color and length to invade our world. 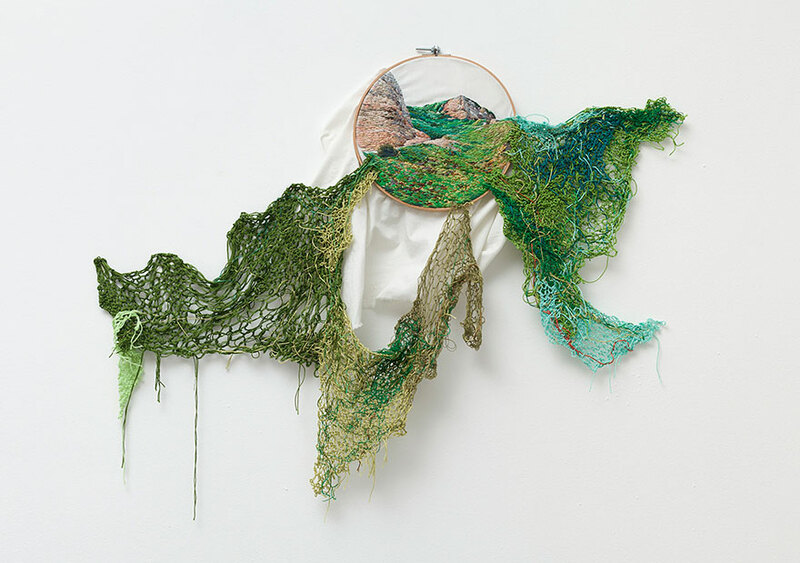 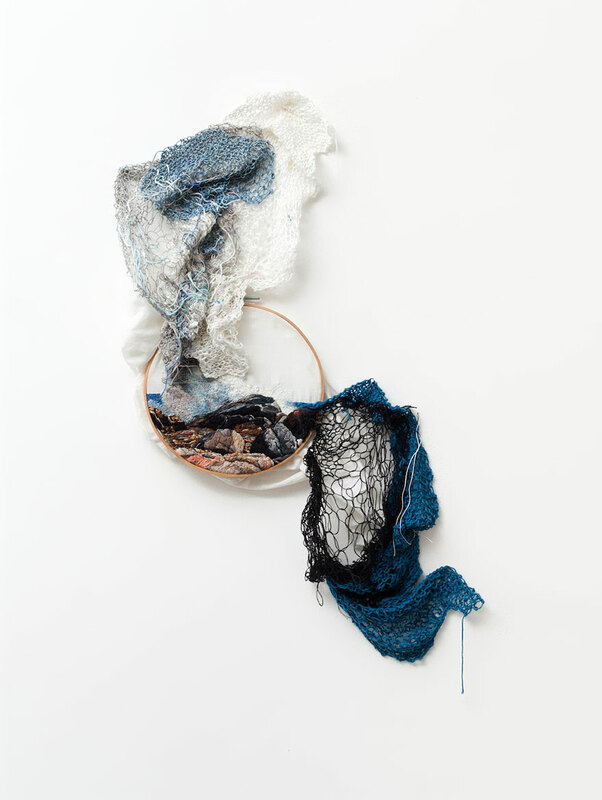 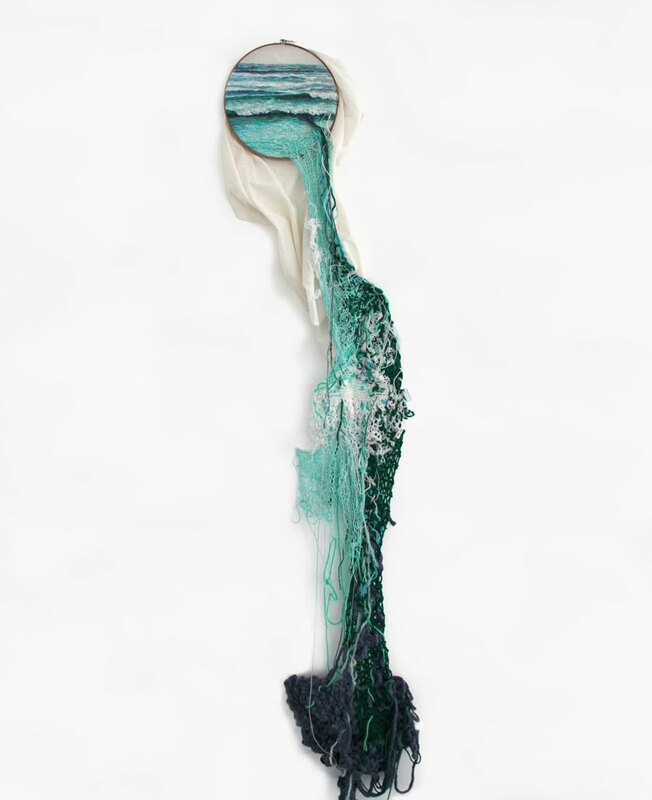 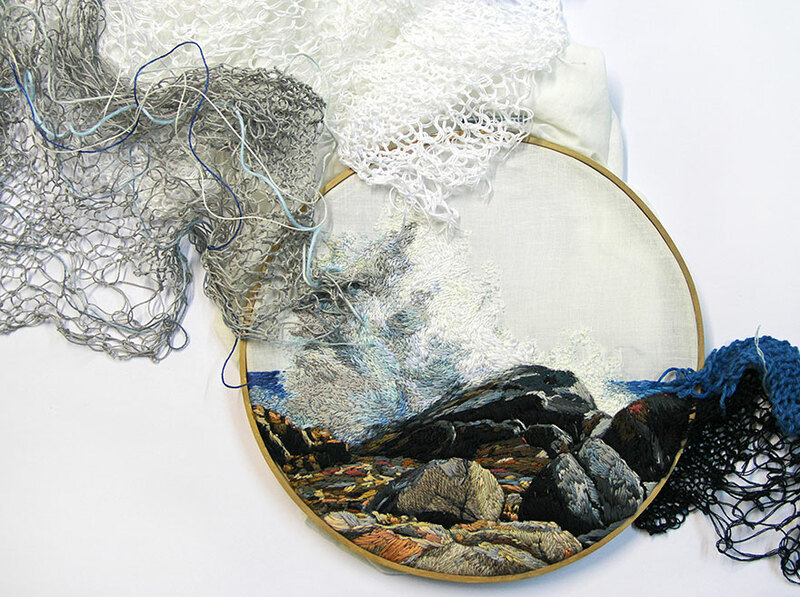 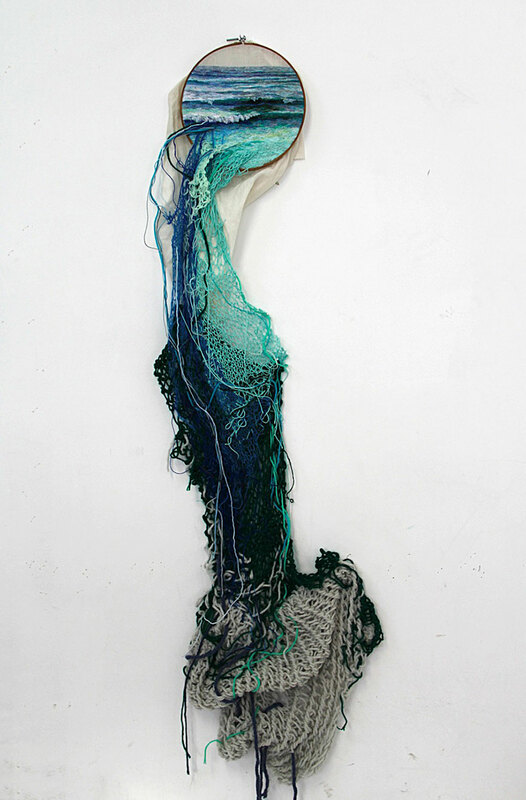 Barboza tends to focus on the human body in her artwork, but this Suspension series explores our relationship with nature; “Both embroidery and crocheting are techniques that require time. 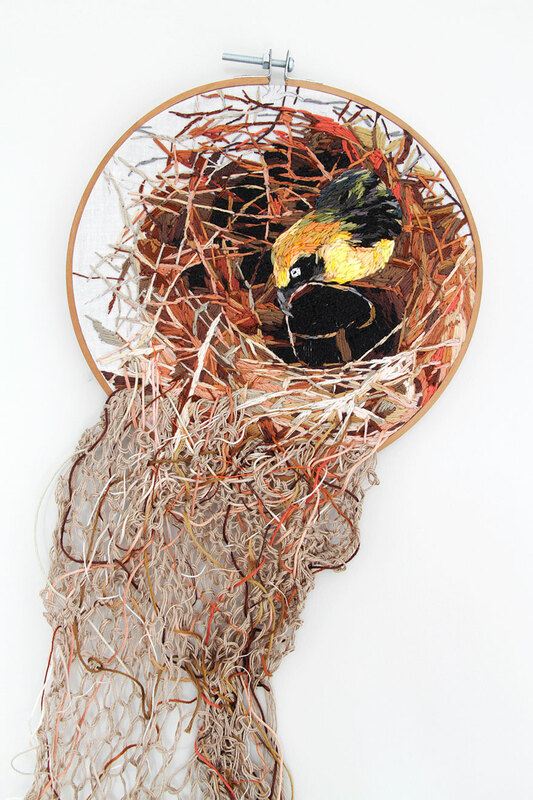 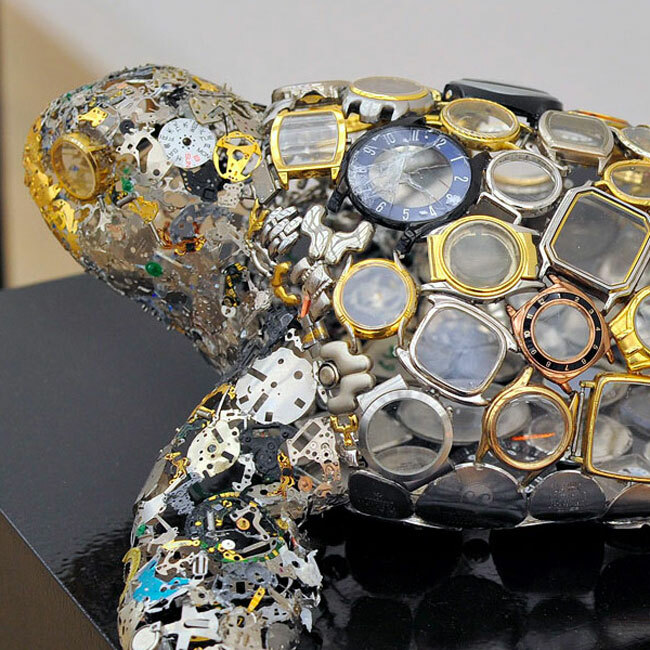 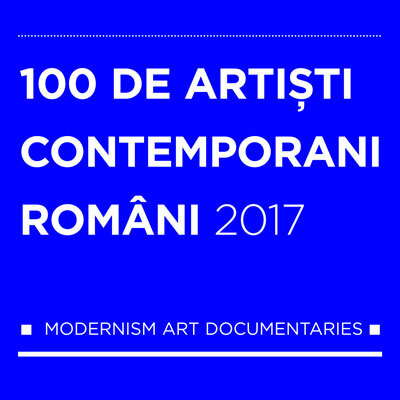 I use these techniques in order to make a connection between manual work and the processes of nature; creating thread structures similar to the structures that make a plant for example,“ she told Le Fil Conducteur.